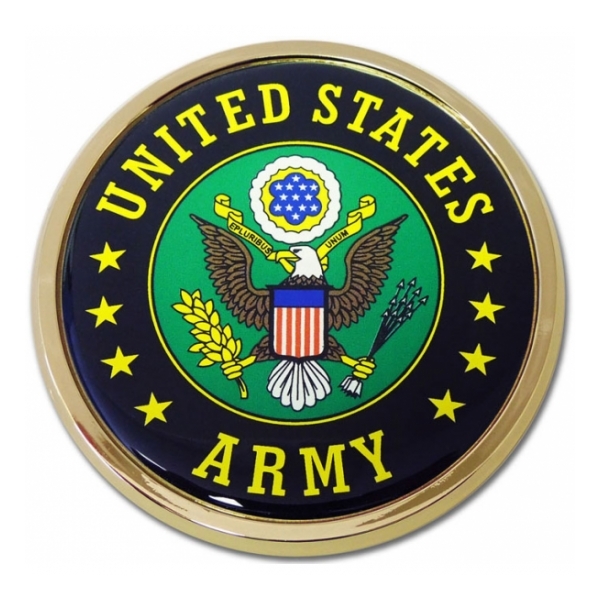 Army chrome auto emblem ( 3.5" diameter ) by Elektroplate. 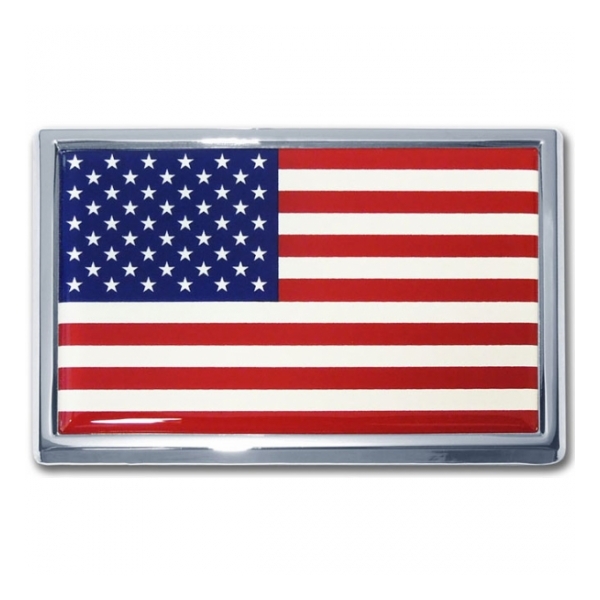 Made in the USA from chrome-plated metal (NOT a plastic imitation). Base and frame crafted of chrome-plated metal (NOT plastic). 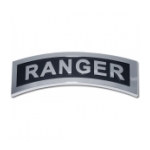 Decal within chrome frame is laminated with an 1/8” thick PVC made to withstand any outdoor conditions (guaranteed not to fade or bleed unlike cheap imitations). Attaches via a paint-safe 3M adhesive foam tape. 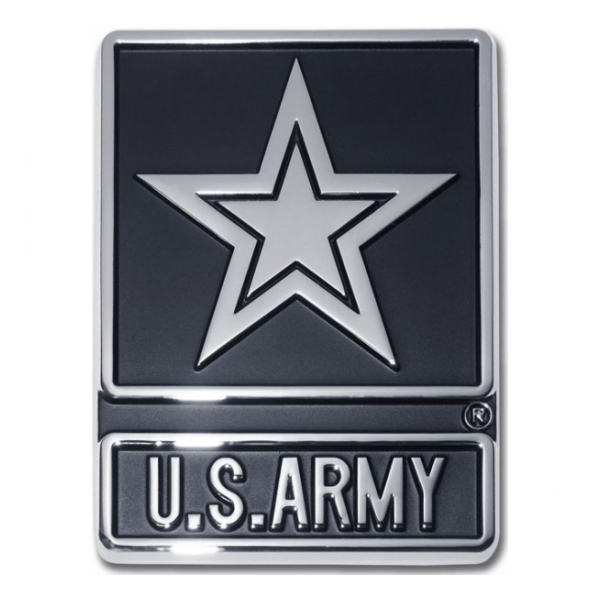 Army chrome auto emblem ( 2.5” x 3.12” x .125”) by Elektroplate. 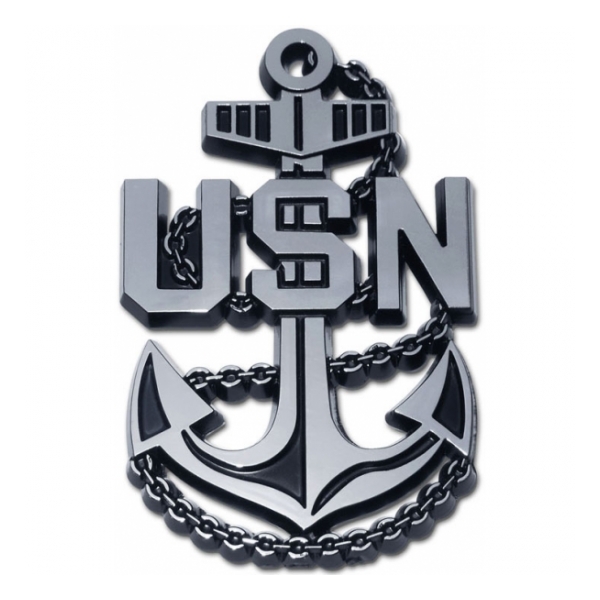 Made in the USA from chrome-plated metal (NOT a plastic imitation). Attaches via a paint-safe 3M adhesive foam tape. 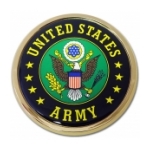 Army chrome auto emblem by Elektroplate (4” x 1".5 x .125"). Shiny chrome guaranteed to last the lifetime of your vehicle! 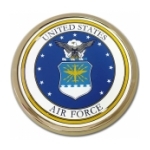 (Manufactured in our OEM process - ABS plastic core with a triplate chrome-plated metal finish). Attaches via a paint-safe 3M adhesive foam tape. 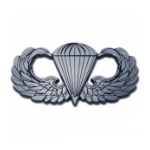 Army Paratrooper chrome auto emblem ( 4” x 2” x .125”) by Elektroplate. OEM process (ABS plastic core with a true chrome-plated metal finish; shiny chrome finish guaranteed to last the lifetime of vehicle. Attaches via a paint-safe 3M adhesive foam tape. 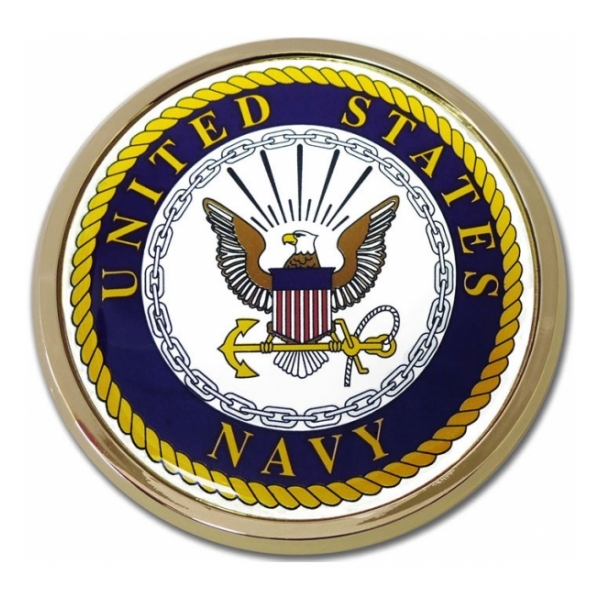 Navy chrome auto emblem ( 3.25" diameter ) by Elektroplate. Made in the USA from chrome-plated metal (NOT a plastic imitation). Base and frame crafted of chrome-plated metal (NOT plastic). 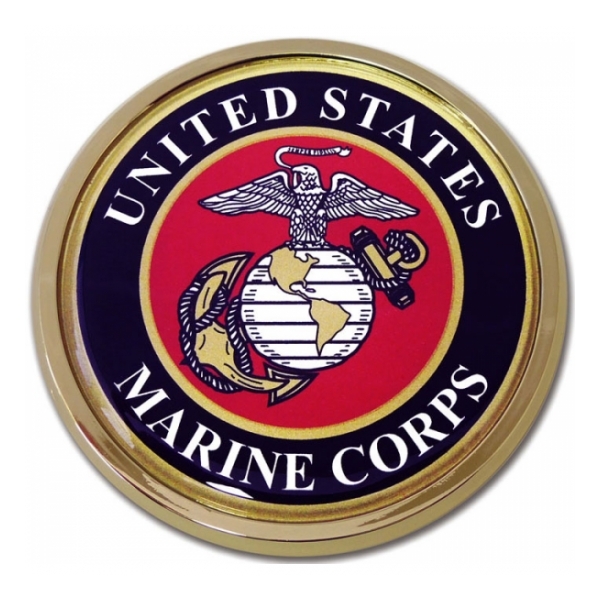 Decal within chrome frame is laminated with an 1/8” thick PVC made to withstand any outdoor conditions (guaranteed not to fade or bleed unlike cheap imitations). Attaches via a paint-safe 3M adhesive foam tape. 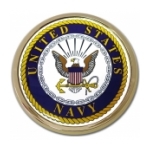 Navy Anchor chrome auto emblem ( 3.25” x 2” x .125”) by Elektroplate. OEM process (ABS plastic core with a true chrome-plated metal finish; shiny chrome finish guaranteed to last the lifetime of vehicle. Attaches via a paint-safe 3M adhesive foam tape. 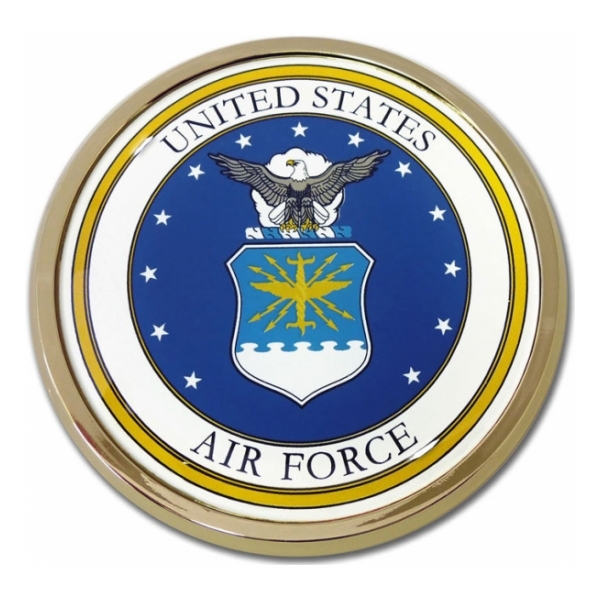 Air Force chrome auto emblem ( 3.5" diameter ) by Elektroplate. 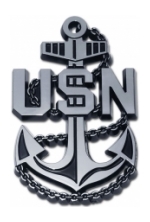 Made in the USA from chrome-plated metal (NOT a plastic imitation). Base and frame crafted of chrome-plated metal (NOT plastic). 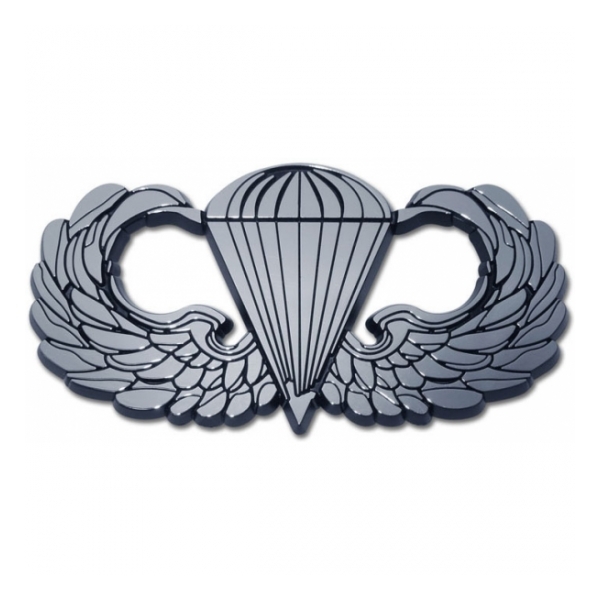 Decal within chrome frame is laminated with an 1/8” thick PVC made to withstand any outdoor conditions (guaranteed not to fade or bleed unlike cheap imitations). Attaches via a paint-safe 3M adhesive foam tape. 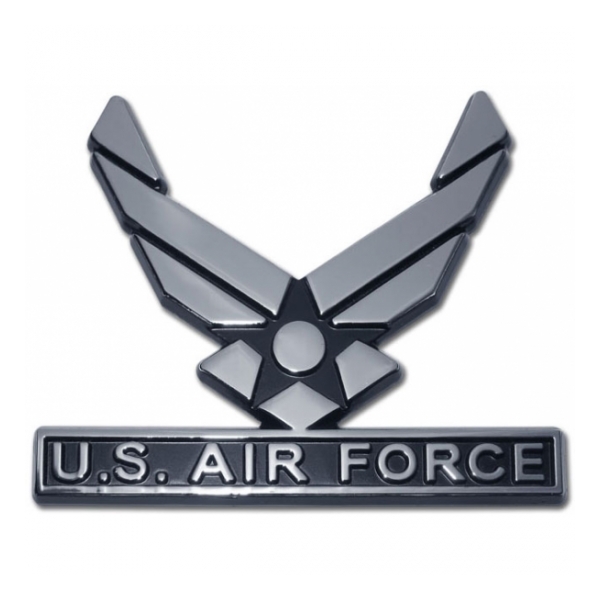 Air Force chrome auto emblem ( 3.625” x 3” x .125”) by Elektroplate. 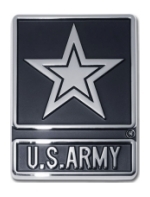 Made in the USA from chrome-plated metal (NOT a plastic imitation). Attaches via a paint-safe 3M adhesive foam tape. 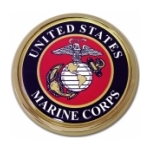 Marine chrome auto emblem ( 3.5" diameter ) by Elektroplate. 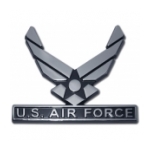 Made in the USA from chrome-plated metal (NOT a plastic imitation). Base and frame crafted of chrome-plated metal (NOT plastic). 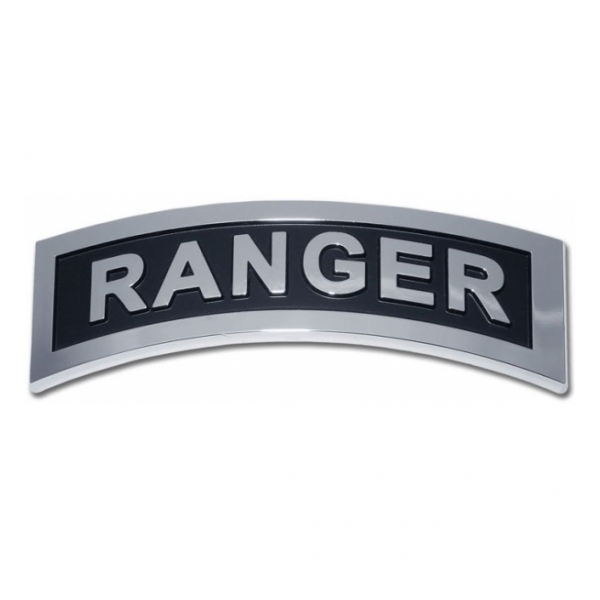 Decal within chrome frame is laminated with an 1/8” thick PVC made to withstand any outdoor conditions (guaranteed not to fade or bleed unlike cheap imitations). Attaches via a paint-safe 3M adhesive foam tape .